Learn about reimbursement for various non-invasive respiratory modalities in the Emergency Department and Inpatient settings. 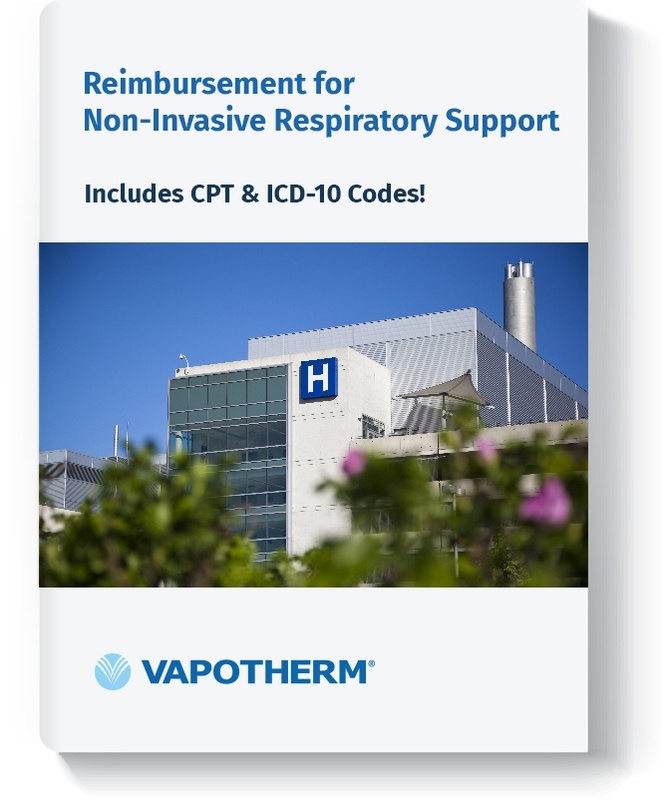 This report includes information for using ICD-10 Procedure Codes and CPT Codes when utilizing Vapotherm. The selection of a respiratory therapy modality has no impact on inpatient hospital revenue. There is no reimbursement advantage to the hospital for the use of any particular method of non-invasive mechanical respiratory support in the Emergency Department or other hospital outpatient setting. Provider reimbursement is the same regardless of the particular mechanical ventilation modality one chooses. Vapotherm funded the creation of this White Paper. The views expressed are those of Larchmont Strategic Advisors and not of Vapotherm.